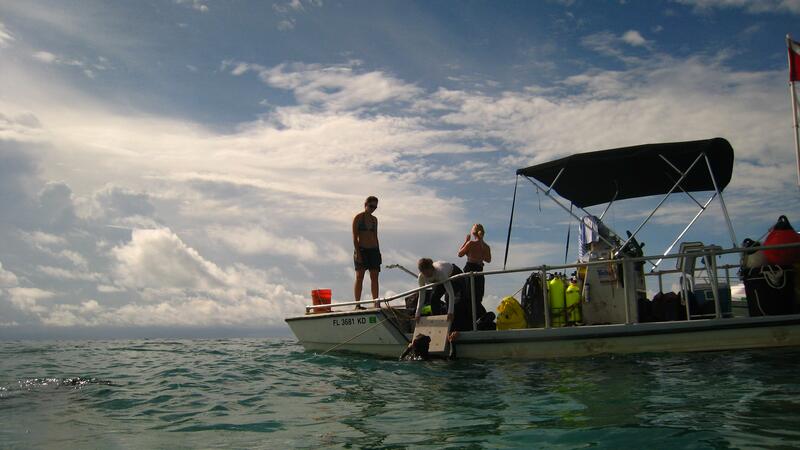 In the emerging science of coral reef restoration, marine biologists and resource managers are discovering naturally occurring mechanisms that promote coral growth and restore ecological balance in these gardens of the sea. 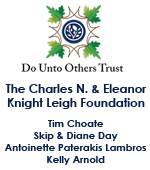 Since the late 1970s close to 98% of Staghorn and Elkhorn corals have disappeared from reefs in Florida and the Caribbean. 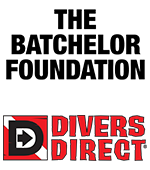 Around the world, damage from boat groundings and other factors have placed these organisms on the “threatened” list of the Endangered Species Act. 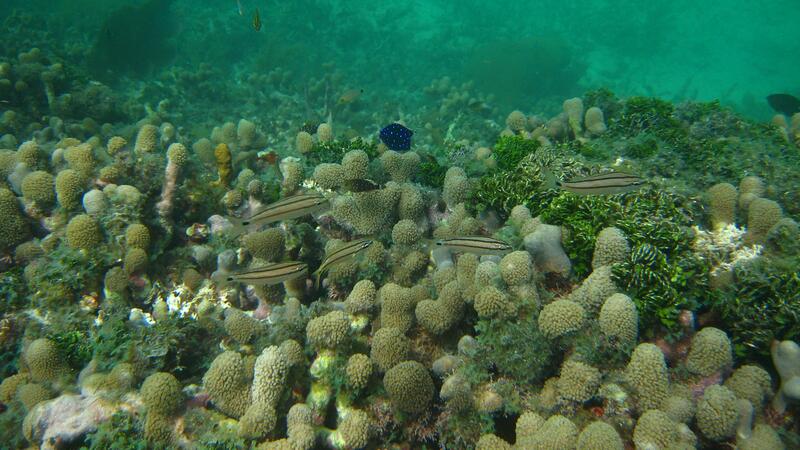 Staghorn and Elkhorn are considered principal reef building corals. 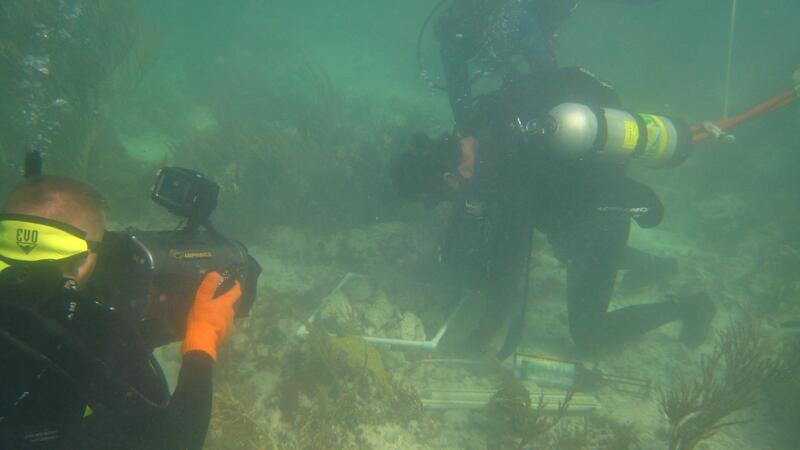 In South Florida, scientists are using native sponges and spiny sea urchins in novel ways that may help attract corals to damaged sites. 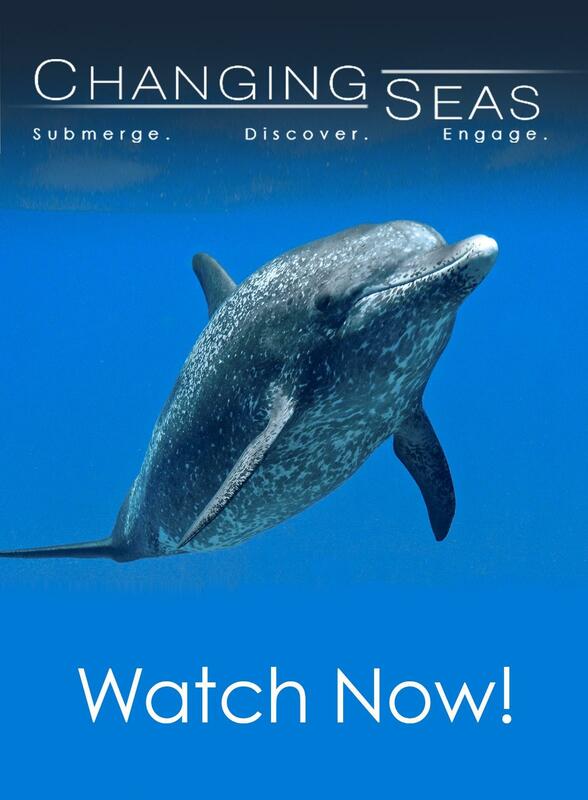 Can nature heal itself with a little help from marine experts? 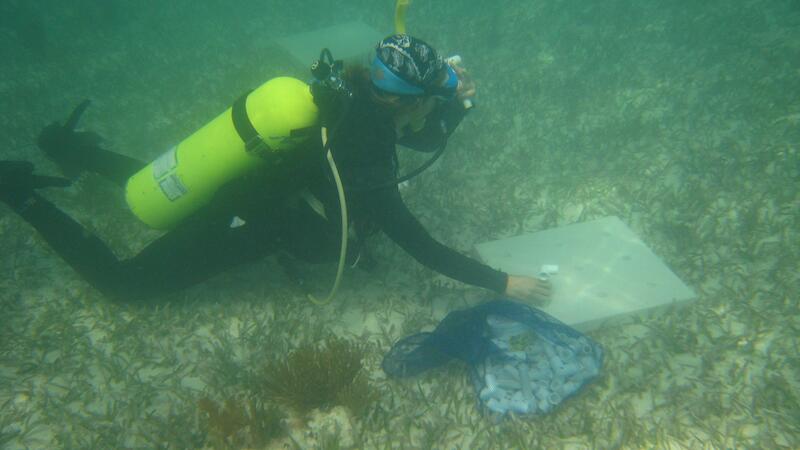 Can new technologies help restore the lost coral communities? 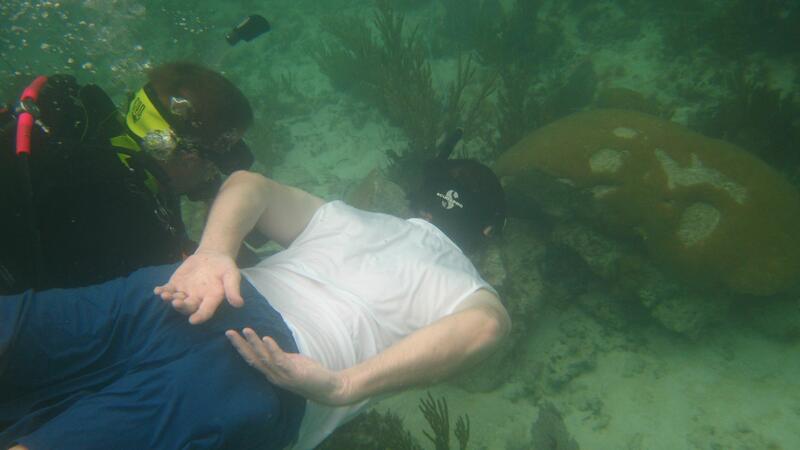 Scientists in Biscayne National Park are gearing up for a coral restoration project during the fall of 2010. 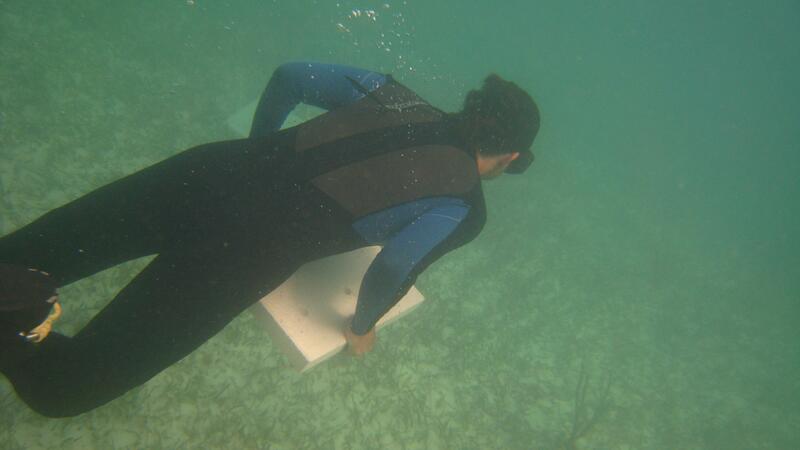 A science diver takes heavy tiles to a shallow seagrass bed not far from the reef, where scientists will grow out sponges used in coral reef restoration. 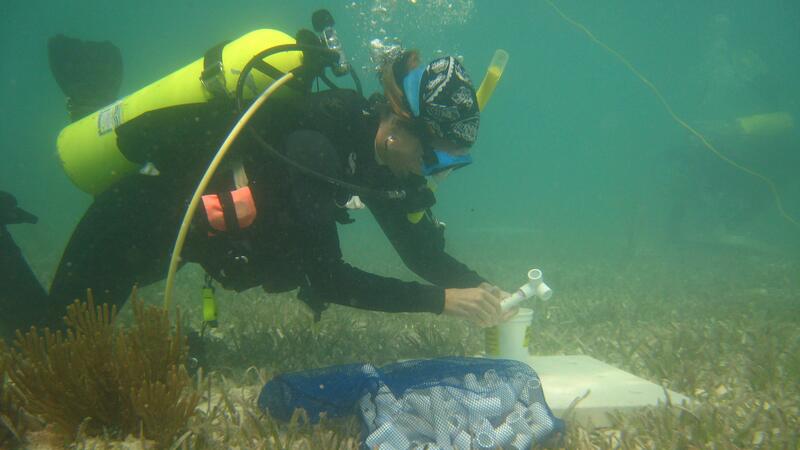 Biscayne Bay National Park Biological Science Technician Caitlin Fisher prepares to add PVC pipes to one of the tiles. The PVC pipes will eventually have sponge cuttings attached to them. 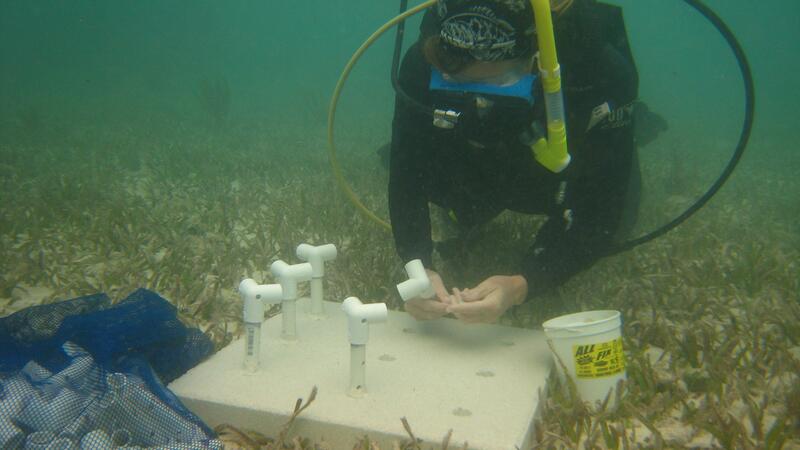 Biscayne Bay National Park Biological Science Technician Caitlin Fisher uses epoxy to attach pipes to the tile. 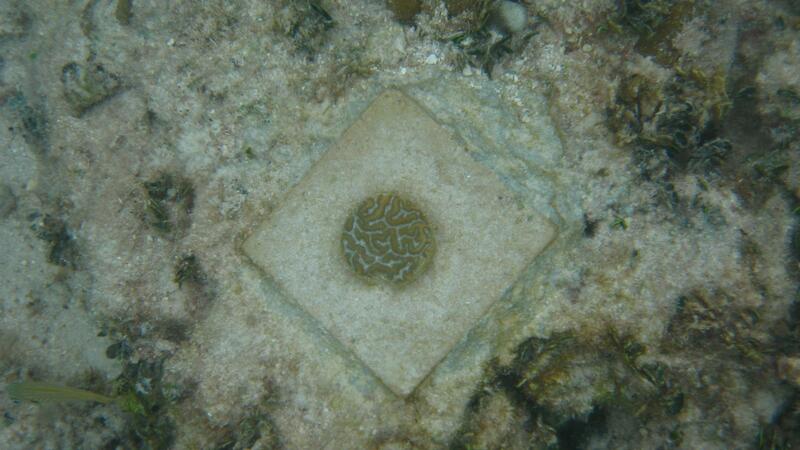 Eventually, several tiles with pipes will be deposited on the seafloor to grow out sponges. 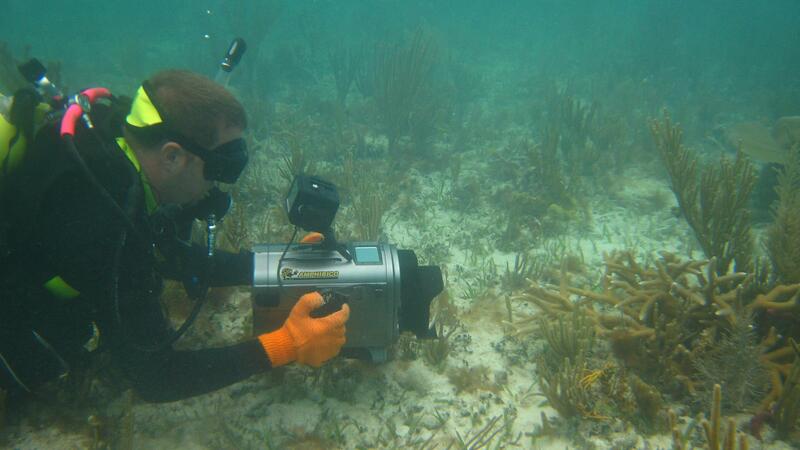 Cameraman Jeremy Nicholson gets footage of staghorn coral in Biscayne National Park. 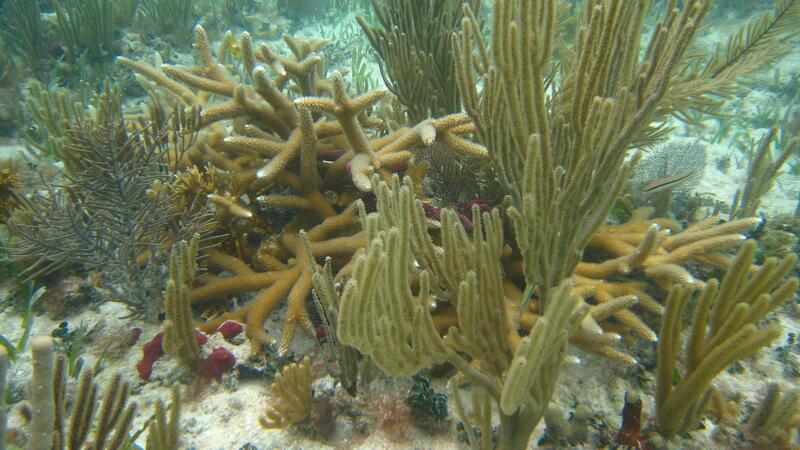 Staghorn coral is listed as threatened on the endangered species list. 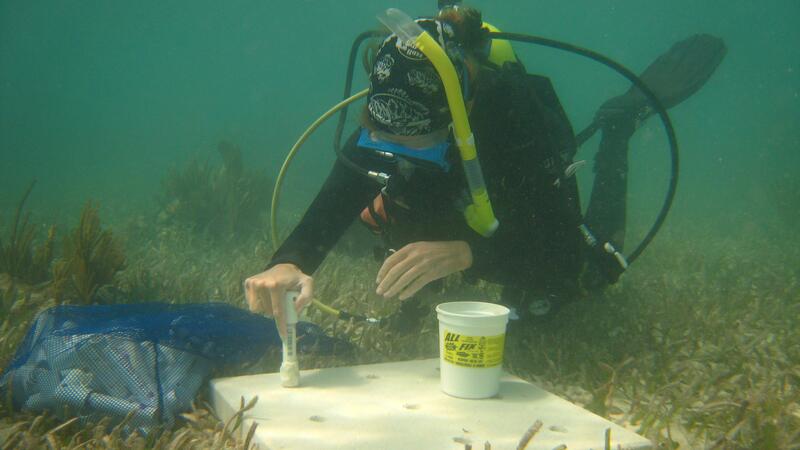 In Biscayne National Park, scientists attach coral fragments to tiles which are then placed on restoration sites like this one. 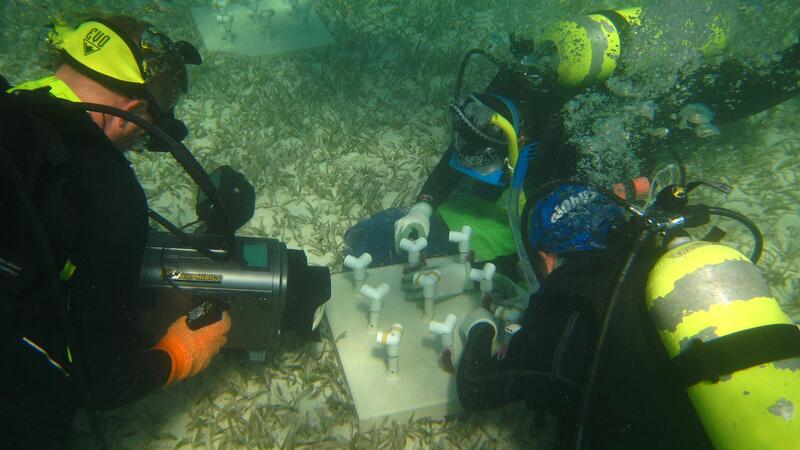 Cameraman Jeremy Nicholson and Producer Mark Baker take a look at the damaged coral head. 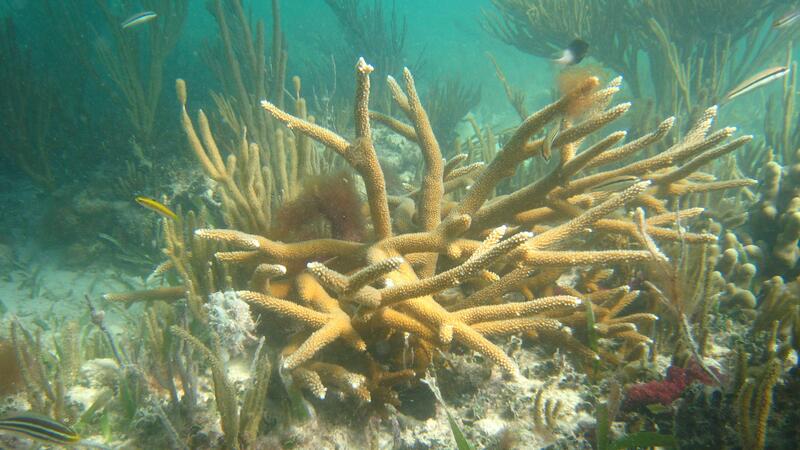 The Florida Keys were once home to large stands of beautiful staghorn coral. Today, only a few healthy colonies remain. A thriving stand of staghorn coral. 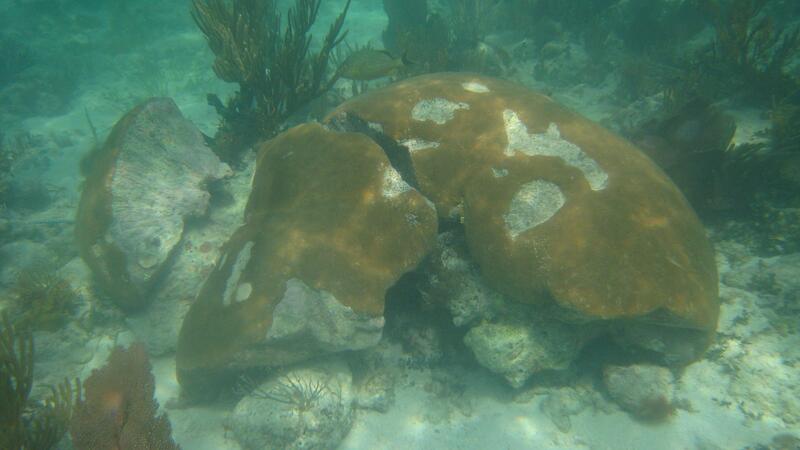 In just a few seconds, boat groundings can destroy corals like this one that took hundreds of years to grow. Experts drill rebar stakes into the substraight - all part of an ongoing restoration project. 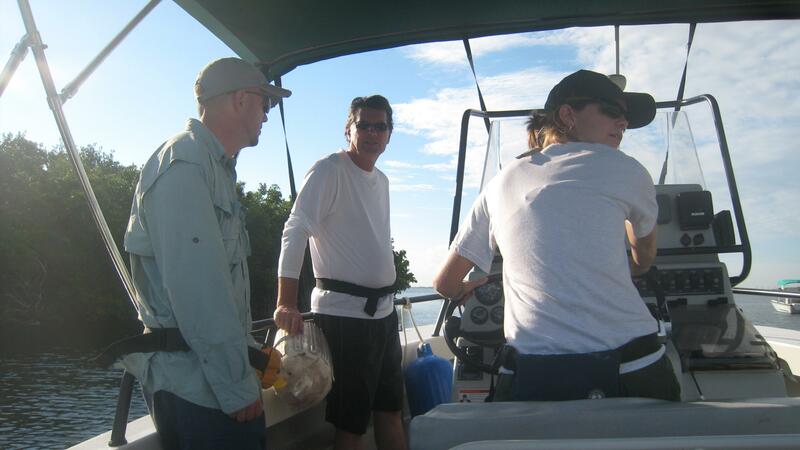 Cameraman Jeremy Nicholson and Producer Mark Baker heading out to the dive site with Biscayne Bay National Park Biological Science Technician Caitlin Fisher. 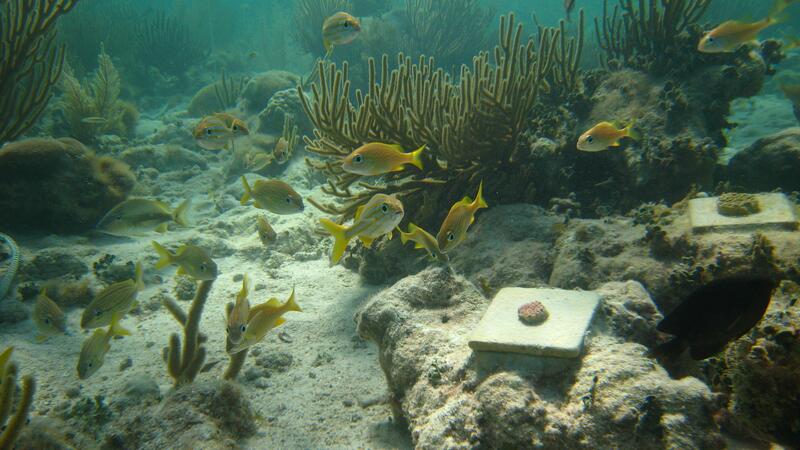 Tiles with coral transplants have been placed on the reef as part of the restoration project. 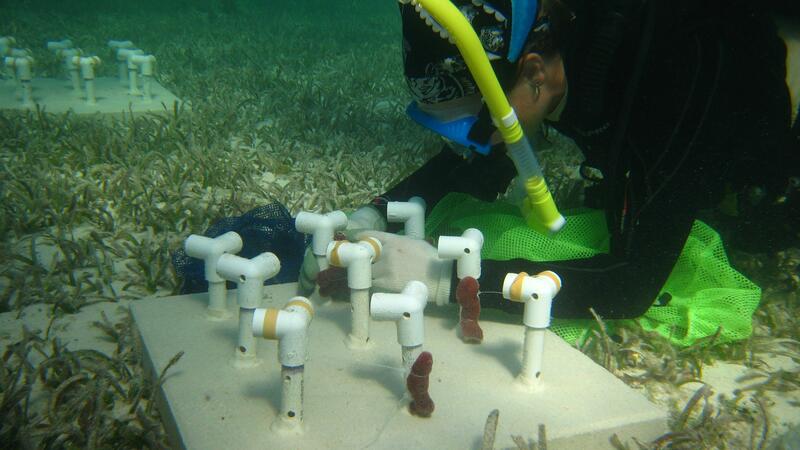 Caitlin Fisher attaches the sponge cuttings to the previously assembled PVC pipes. 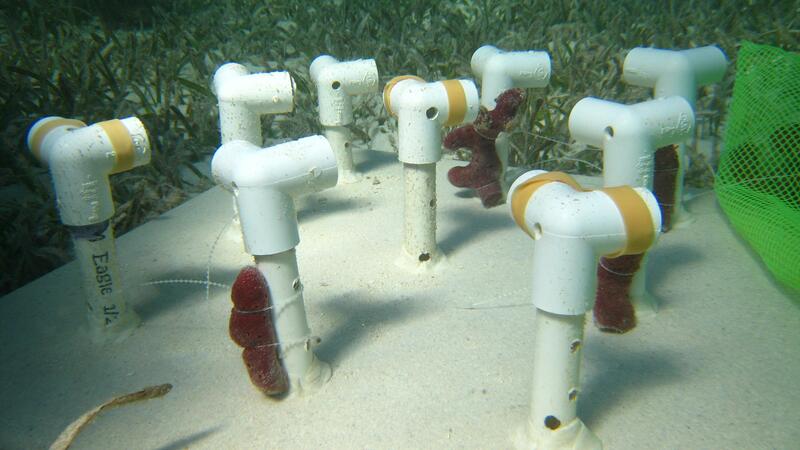 The pipes provide a place for the sponges to grow out before they are used in coral restoration. 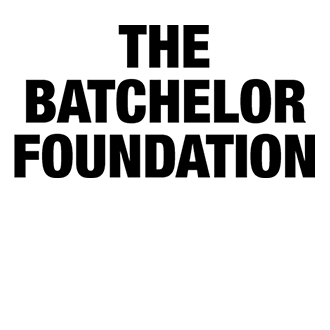 Time for a close-up! Cameraman Jeremy Nicholson shoots Biological Science Technicians Caitlin Fisher and Emily McGrath as they are attaching sponges to PVC pipes. 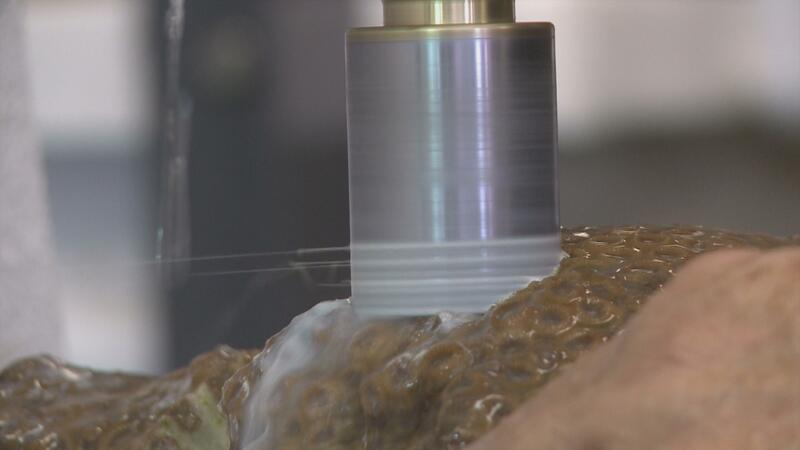 Close-up of the sponge cuttings. 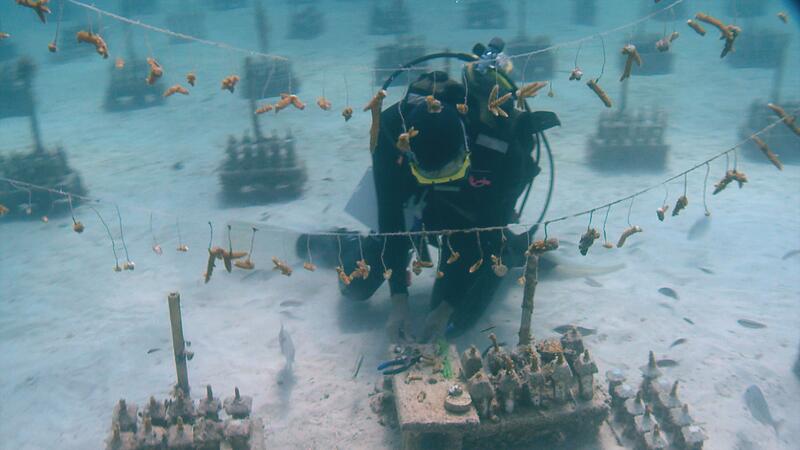 Staghorn corals are hung on lines such as these to prevent damage from animals swimming past and to promote multi-directional growth. 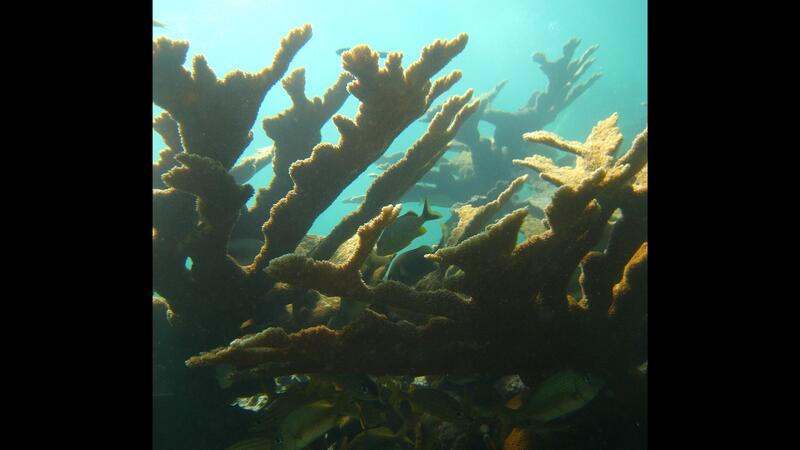 Healthy stands of the now threatened Elkhorn coral have become rare in Florida, but Biscayne National Park is still home to some of these majestic formations. Coral Restoration Foundation founder, Ken Nedimyer surveys a row of Staghorn corals that will be used for restoration purposes. 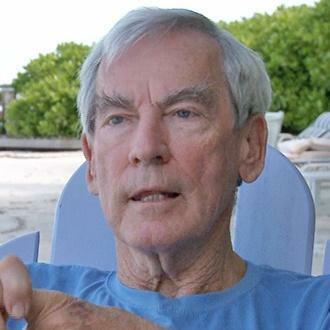 Coral Restoration Foundation founder Ken Nedimyer grows Staghorn corals in his coral nursery, the largest of its kind in the country. 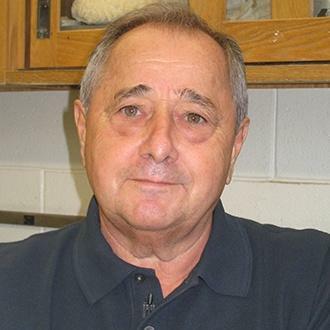 Martin Moe at his lab in the Florida Keys where he cultures long-spined sea urchins. 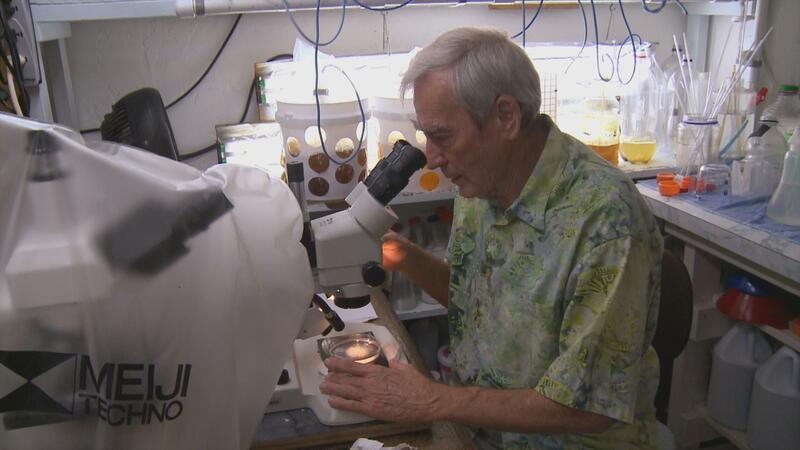 Marine biologist Martin Moe cultures long-spined sea urchins at his laboratory in the Florida Keys. 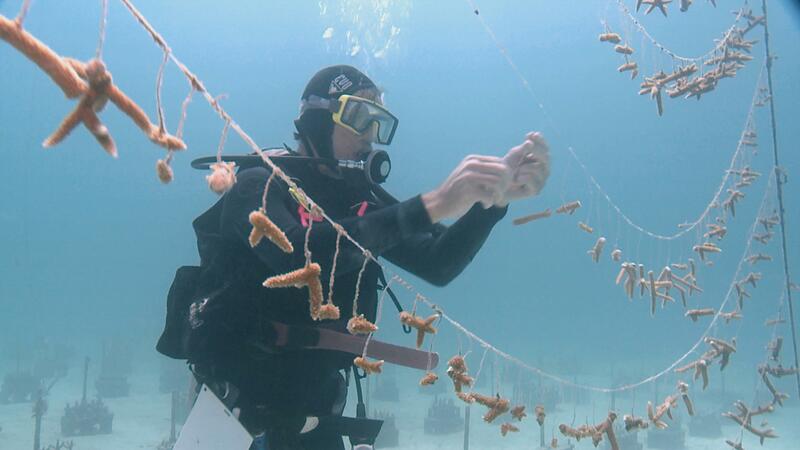 Thomas Capo from the University of Miami makes coral cuttings which will be used for restoration purposes at damaged reef sites in South Florida. 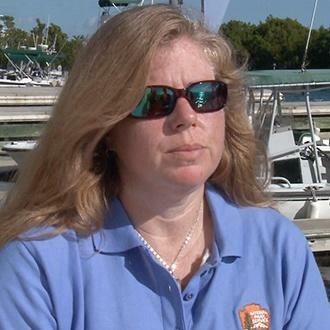 Scientists in Biscayne National Park are working on innovative methods to restore corals that were damaged during a boat grounding. 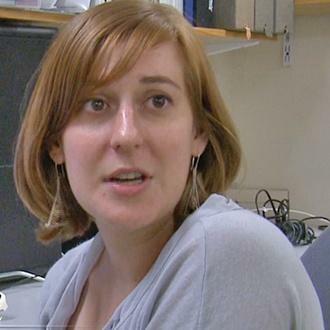 Watch Park biologist Amanda Bourque as she explains parts of the restoration effort during an "in-water" conversation with producer Mark Baker. 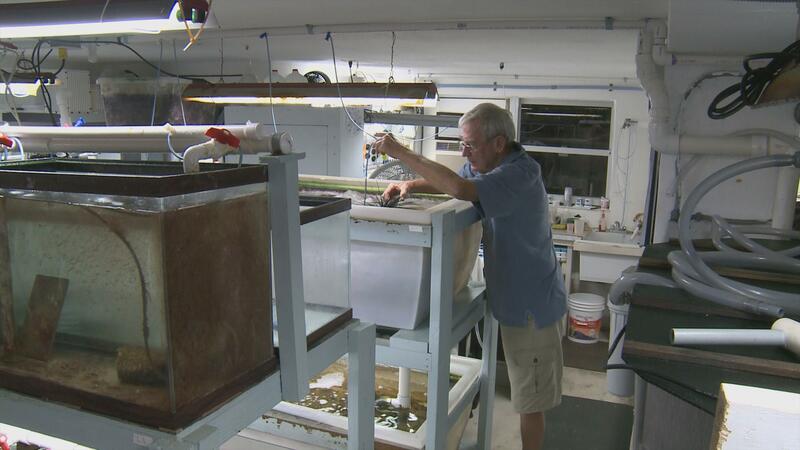 Dive in and join Ken Nedimyer on an exciting tour of his coral reef nursery in Key Largo. 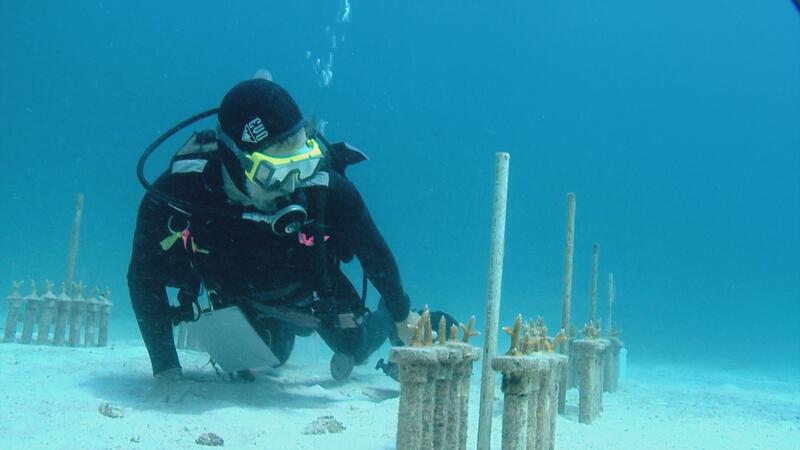 Nedimyer, and his Coral Restoration Foundation, are working on a new and exciting technique to grow out staghorn coral cuttings on hanging lines before they are transplanted on a reef restoration site. 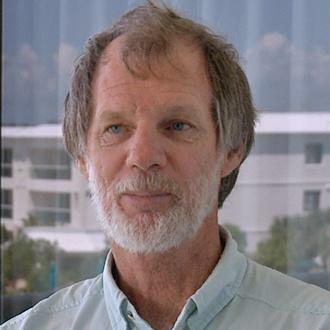 Marine Biologist Martin Moe explains the urgent need to return ecological balance to Florida and Caribbean coral reefs by restoring populations of the once abundant spiny black sea urchins, the principle algae grazers on the reefs.